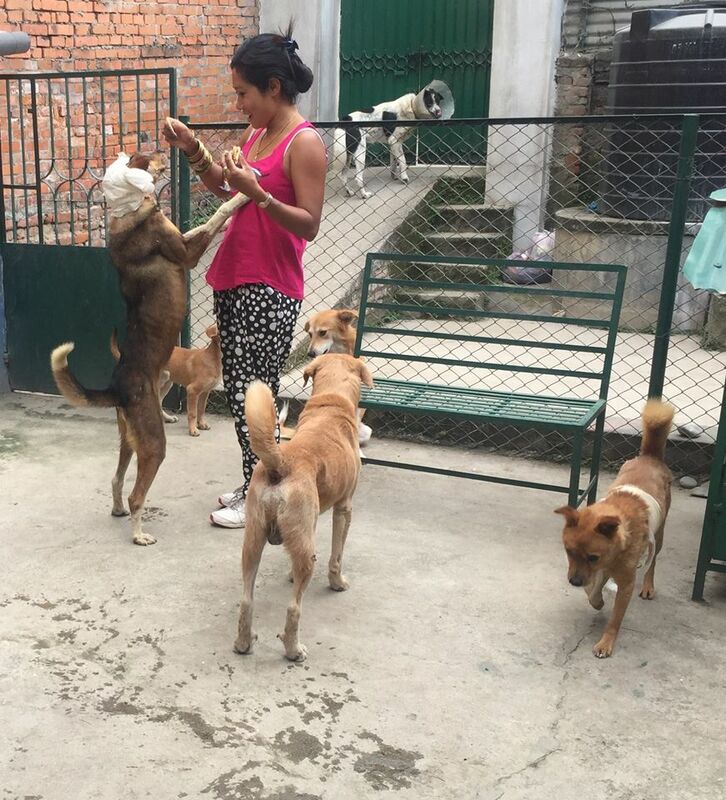 I have 17 Street Dogs at the moment at caring center. Gave shower to most of them this afternoon.They are now ready to be released. Every dogs has been neutered as well. Anyone willing to adopt them, please let me know. 2. 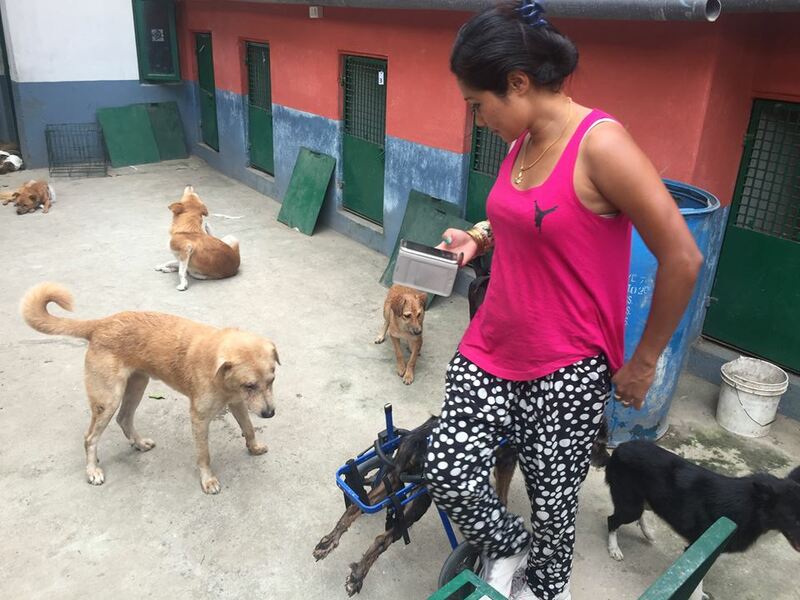 Kale (One in the Wheelchair) – He was rescued from Kuleshwor. He is very fond of eating, always like to eat and run on his wheelchair. Getting used to with his new support. 3. 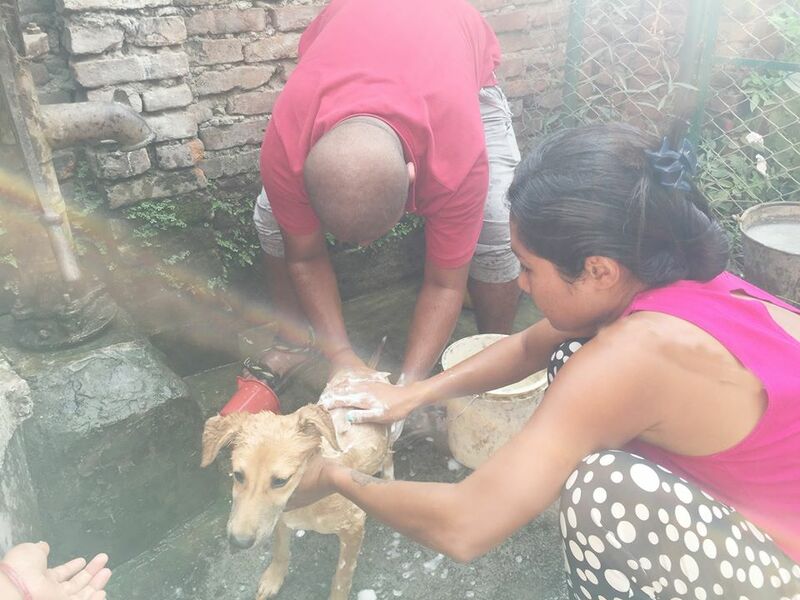 Blacky (One taking shower with black & White Spot) –He was rescued from Swyambhu. He wants to make people scare by his voice but he is a lovely guy and like to roam around. He had maggot wounded in his ear and is now under treatment. 5. Alok (Black with white tail)- She was brought from Dog Mother’s place at Kamaladi for spaying. Once she is done with her treatment she will be going back to her place. 6. 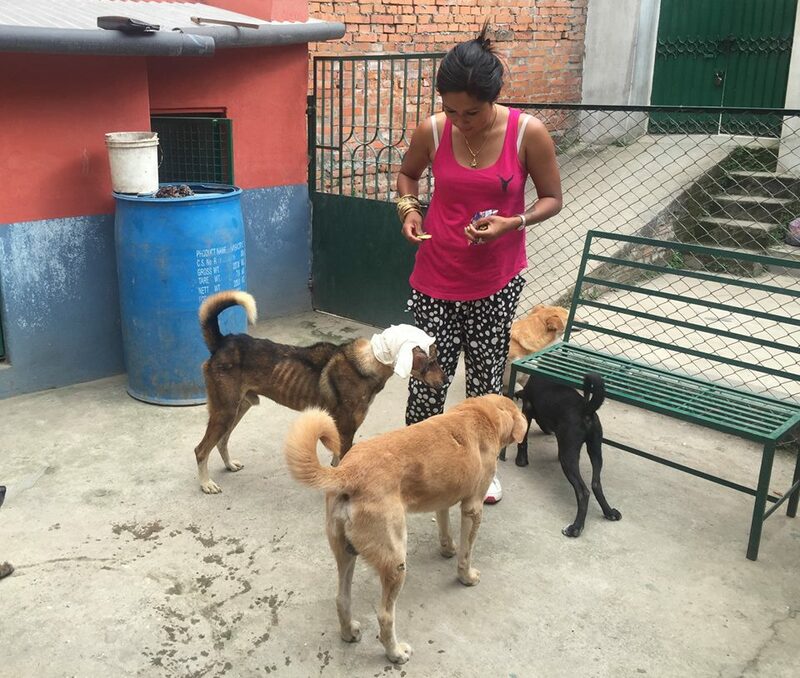 Xavier (Brown in Colour) – He was rescued from Maitighar next to St. Xavier School. He was maggot wounded all over his eyes. He can now see with his both eyes. Being ready to go back to his place.